I met Peggy and Teddy when they were 2 short months away from their first baby. Well, their first human baby. You see, they already have a big, furry, yellow baby named Sam. A beautiful 6-year-old golden retriever, Sam was super playful – but also as well-behaved for the session as we could’ve hoped! He was thrilled to be included in what mom and dad were doing, but agreed to hang out nearby for a few shots of them alone. Just so long as they stayed within view! 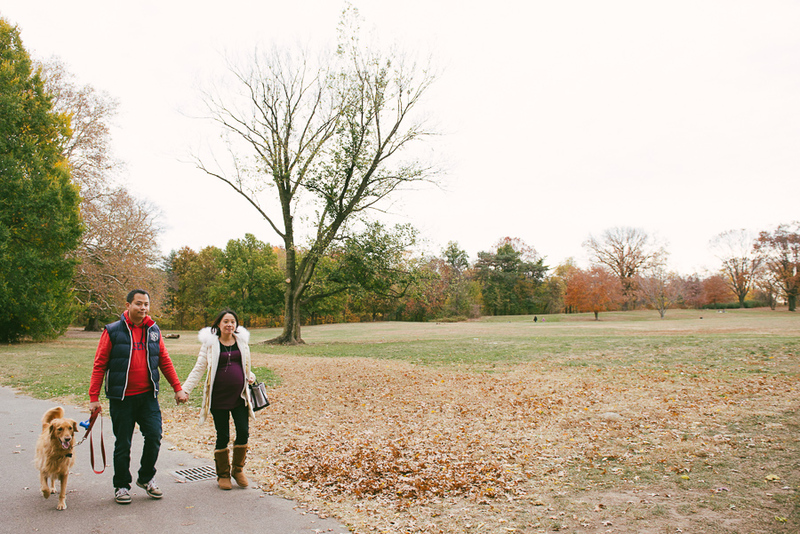 We strolled around Prospect Park on a brisk fall afternoon, just on the cusp of winter.